The old saying goes, possession is nine-tenths of the law. That’s not exactly a legally binding statue, but the underlying idea often plays a role. 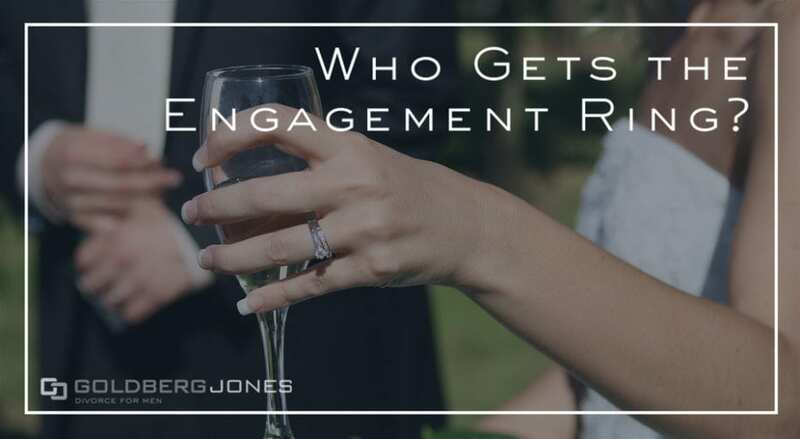 One situation we see frequently involves engagement rings. One of our founding partners, Rick Jones, makes regular appearances on the Danny Bonaduce and Sarah Morning Show where he answers listeners’ questions. A caller finds herself in a strange situation involving an engagement ring. A family friend gave it to the happy couple only to later have a falling out and demand the ring back. In this situation, what’s she obligated to do? This caller’s situation is rather unusual. That said, we often hear questions about engagement rings and who actually owns them. It’s often a bit murky, but there are some things to consider. Often cases, the law views engagement rings as conditional gifts. Essentially, this means if the gift is based on the assumption the marriage will happen. If it does, then the gift remains the property of the recipient. If the marriage doesn’t happen, however, the recipient may have to give it back. Every case is different, of course. It often depends on who calls off the wedding. You may also be able to include an engagement ring in a prenuptial agreement or similar contract. If you have questions about this, it’s probably best to speak to a divorce lawyer ahead of time. Related Reading: Can I Change the Locks and Kick Him Out?